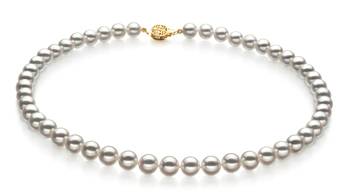 These types of pearls will often display a higher quality shape when they are compared to their main contenders, Freshwater pearls. Japanese Akoya pearls do display a much higher level of shine (luster) on their surfaces and this is one of the reasons why they are more valuable. This is one of the main reasons why when you buy a white Japanese Akoya necklace it will cost more than a similar one made using Freshwater pearls. All natural pearls will display some blemishes to their surface but these can be very difficult to identify on a Japanese Akoya pearl due to the high quality of their luster. A Japanese Akoya white pearl necklace is a very sophisticated piece of jewelry that will help enhance any woman’s natural beauty. 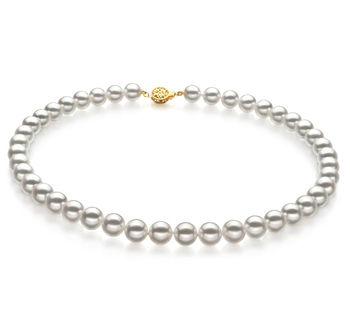 As the pearls lay against her skin they will brighten up a woman’s complexion and look great worn on their own or with a matching pair of Japanese Akoya earrings. 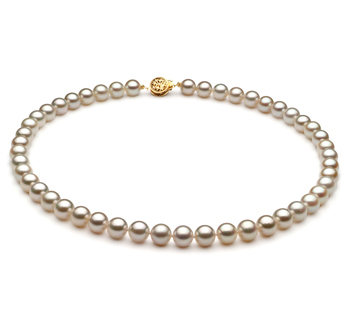 When you are choosing your white Japanese Akoya necklace there are certain things that you need to consider, such as the ones we discuss below. 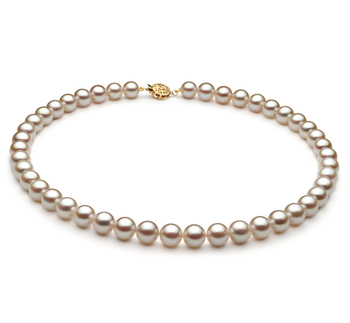 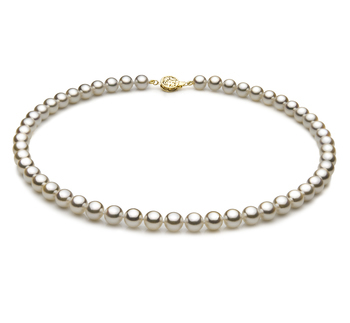 Keep these in mind and you will find the perfect Japanese Akoya white pearl necklace for you. In order to ensure that you do get the most out of this type of jewelry, you need to think about your own personal style. This will really help you decide which white Japanese Akoya necklace in our collection is right for you. If this is how you see your personal style then a necklace that is made up of 6-7mm white pearls with a yellow gold clasp is the perfect piece of jewelry for you. 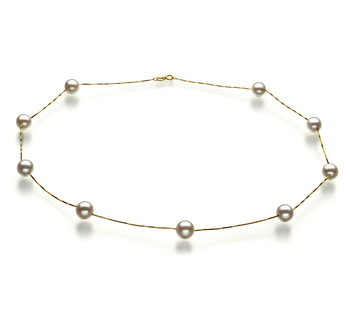 This is a necklace that can be worn during the daytime as well when going out somewhere special in the evening. 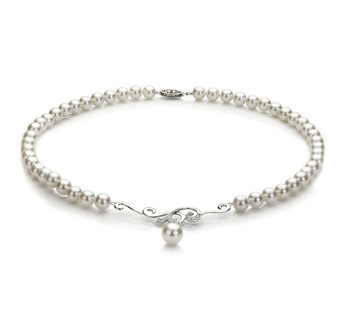 Are you someone who seems to be always on the go then you will appreciate a white Japanese Akoya necklace fitted with sterling silver or white gold clasp. 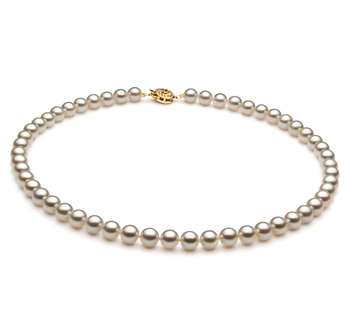 The luster of the pearls speaks volumes about the necklaces refinement and glamor. 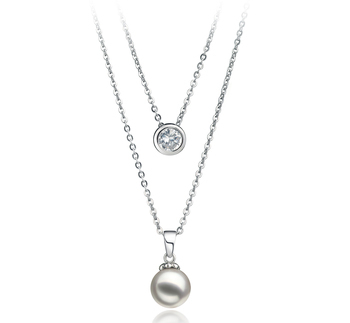 Do you feel happy when you wear something a little more comfortable? 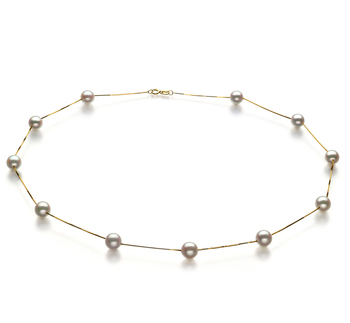 Then your outfit will be completed when you team it with a simple white Japanese Akoya necklace with a silver chain.